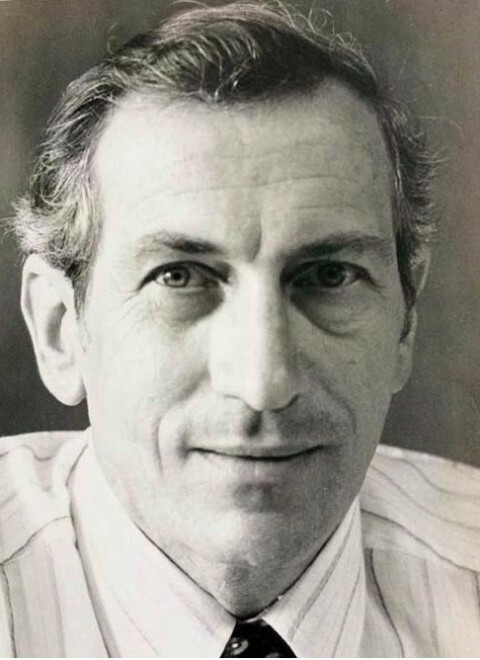 Lawrence Pezzullo, an American diplomat who brokered the 1979 resignation of Nicaraguan strongman Anastasio Somoza Debayle, whose family had ruled the country for more than four decades, died July 26 at his home in Baltimore. He was 91. The cause was heart ailments, said a son, Ralph Pezzullo. A career Foreign Service officer, Mr. Pezzullo was known as a straight-talking pragmatist, more interested in facilitating negotiations than relaying threats of military action — a fact that sometimes placed him at odds with his superiors in Washington. He was serving as U.S. ambassador to Uruguay when President Jimmy Carter reassigned him to Nicaragua in April 1979. His predecessor in Managua, Mauricio Solaún, had abruptly resigned amid the escalating civil war between the left-wing Sandinista National Liberation Front and the Somoza government. Somoza, a rotund five-star general known as El Jefe, had promised to “fight to the death” rather than relinquish the political power that his family had exerted since the late 1930s, when his father, head of Nicaragua’s National Guard, seized power and established the Somoza dynasty. The family had long presented itself as a bulwark against communism in Central America, and long had the backing of the United States during the Cold War. But Carter began to make human rights a cornerstone of his foreign policy, and the Somoza family received strong criticism for its abuses. The Nicaraguan National Guard had reportedly tortured civilians as part of its campaign against the Sandinista guerrilla fighters, and helicopters were dropping 500-pound bombs on shantytowns near Managua. Mr. Pezzullo, a veteran diplomat with experience in Vietnam, Mexico, Bolivia, Colombia and Guatemala, was tasked with convincing Somoza to resign, thereby bringing the war to an end. The country was led by Sandinista leader Daniel Ortega until free elections in 1990 handed power to the opposition. Ortega returned as president in 2007 and was reelected in 2011 and 2016. Mr. Pezzullo initially sought to moderate the junta’s political views, plying it with planeloads of aid from Washington and insisting that he was there as a potential partner, not as an enemy. And in a small yet powerful gesture at reconciliation, he moved out of the old ambassador’s residence, a hillside mansion that had long served as a symbol of U.S. dominance in the country. His son Ralph said that Mr. Pezzullo frequently hosted Sandinista leaders at his new, smaller home, imploring them to stop trafficking weapons to left-wing rebels in El Salvador. He largely succeeded, with Nicaragua’s foreign minister calling him “the best U.S. ambassador to Nicaragua in this century.” Yet with the election of President Ronald Reagan in 1980, the State Department began to treat Nicaragua as a menace. Months later, however, Mr. Pezzullo was replaced as ambassador. Reagan subsequently authorized the CIA to provide funding and arms to the contras, a group of conservative-aligned revolutionaries. The resulting conflict between the guerrillas and the government resulted in the deaths of more than 30,000 Nicaraguans and allegations of widespread human rights abuses. Lawrence Anthony Pezzullo was born in the Bronx on May 3, 1926, to a family of immigrants from Italy. His father owned several New York City butcher shops and fruit stands. Mr. Pezzullo graduated from Columbia University in 1951 with a bachelor’s degree in history and taught at a high school before entering the Foreign Service in 1957. Survivors include his wife of 67 years, the former Josephine DiMattia of Baltimore and Naples, Fla.; three children, Ralph Pezzullo of Los Angeles and David Pezzullo and Susan Pezzullo Johnston, both of Naples; and seven grandchildren. In 1983, Mr. Pezzullo became the first layman to lead the Catholic Relief Services, the church’s foreign-aid arm in the United States. While he was credited by some with modernizing the organization, he left in 1993 amid concerns that it was too slow in delivering aid to drought victims in Ethi­o­pia. That March, he was appointed special envoy to Haiti by newly elected President Bill Clinton, charged with coordinating the White House’s efforts to restore power to the country’s president, Jean-Bertrand Aristide. Aristide had been ousted in a military coup the previous year, and some of his supporters had been killed or tortured. Mr. Pezzullo helped negotiate a United Nations agreement that granted amnesty to the soldiers and military leaders who committed the crimes, in exchange for Aristide’s return to power. But the military failed to step aside, and Mr. Pezzullo was blasted by organizations such as Human Rights Watch and the National Coalition of Haitian Refugees, which described Mr. Pezzullo and the White House as contributing to a “reign of terror” in Haiti. Mr. Pezzullo was forced to resign in April 1994, as the Clinton administration moved from a policy of negotiation to one of forceful intervention, with thousands of U.S. troops occupying the country for six months in 1994 and 1995. Aristide was restored to the presidency, but the country’s political system ultimately devolved into chaos. Aristide was reelected in 2000, but there were allegations of electoral fraud, and he fled the country four years later during a second coup. Previous articleIs Slapping Your Child a Crime in Latin America?